If there is a saying.. So in other words if romance is in Travelling and would be linked with life’s beautiful terms marriage and flirting then how could I fenced myself to fall in love with it, Yes, I am a professional accountant and I love travelling. Welcome to my travel blog, the purpose is to inspire others to get in love with this astonishing world and relish the crisp and aura of this nature before you die. Though it’s not easy to jot down one’s experience as black and white specially for the first timer since feeling and expressing are two contradicts. 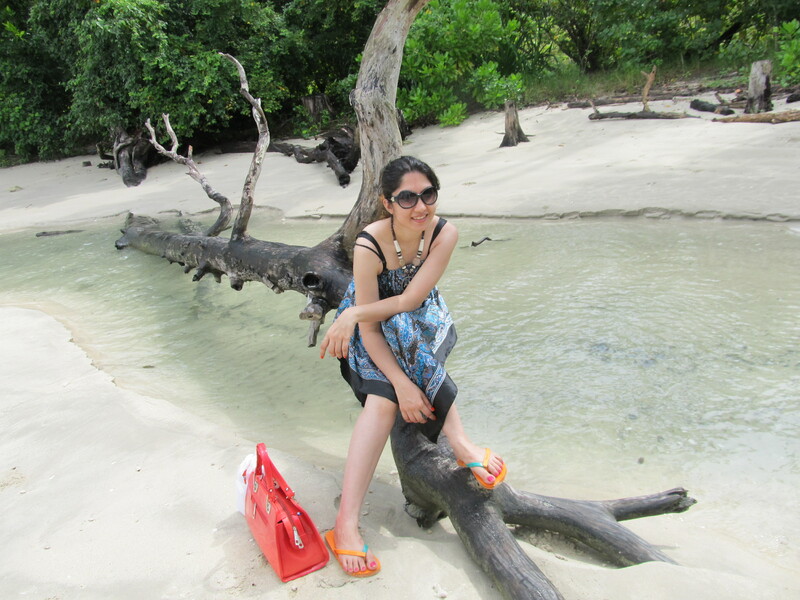 Hence the quint essential reason behind making up my mind to up my personal travel blog is our recent exotic “Andaman” trip that was perfect example of serenity where anyone can relax with a bliss and admire the beauty of the portion of God’s amazing creation. Either its a long walk together in the night on the road of Pahalgam in between the mountains covered with dense forests both sides with heavy snowfall that indicates enough safety of the area despite of the facts that already figured in common masses mind’s about their safety in Kashmir. Or to witness the charm of Himalayan range by flying under the sky of Manali as a chirpy bird with palpation of fresh breeze via paragliding that introduced myself with my inner confidence. Except these we’ve got immense pleasure by enjoying water sports in Goa like Parasailing, banana ride, jet skiing etc. On the other side how could I forget river rafting in the rocky bed of Beas river in Manali. Recently got chance to experience scuba/ snorkelling in our latest trip to Andaman “the land of untouched white mesmerized beaches.” which gave me enthralling experience. Here you can say, what’s new, many people do, yes, but all of them have a courageous heart and a on hold possession of such wonderful not to loose opportunities. Apart from these there are plethora of fun filled adventures waiting to be explored by us in the near future. to sum up, in future next door I would like to work for Travel industry juxtaposed to explore the mesmerized vistas of the beautiful destinations. Beside travelling I love to spend time with my 3 kiddos (my daughter +my 2 pug babies), read positive quotes, do internet shopping, for inner lightening I do yoga and feed street dogs. My dream for old age is to open an NGO for abandoned animals those in need of food/affection. “The two most important days in your life- Are the day you are born and the day you find out why”- Mark Twain. Absolutely floored by the way that you have presented your post,Priyanka!Are you a word afficionado? Hahaa..thx for the appreciation Swayam..it’s just I’m learning to play with words.. Thanks Arv! !had a glimpse of your beautiful blog..would definitely like to read your Jaipur based detailed post…just give me some time..
Lovely Blog Priyanka and beautiful description.